I started a new ritual when I moved into the House….when I fit a run into the day, I grab a shell from the beach in the middle of it and put it into a jar. I had no idea what I’d actually do with the shells once they filled the jar, rather I just loved that part of the run…seeking a beautiful shell, or rock during a hard one, that represented the fact that I actually managed to put the shoes on and make it out the door. This month, I finally filled the jar for the first time – and put the shells into the garden as a make-shift type of mulch. Ms. Weston has proceeded to find the smelliest ones and carry them all around the garden as a sort of canine appetizer. I am back to square one… the jar is empty and I need to find bits of beauty in the midst of effort and daily life. A great life pursuit! We have just enjoyed a long, relaxing vacation ‘back home’ in the U.S. and are rejuvenated and ready for our busy season to start. We started the trip in Oregon to visit with my gorgeous cousin and her wonderful, handsome husband who rolled out the red carpet for us in their amazing town of Ashland, then were greeted after a late night flight in JFK with my sweet aunt and mom shouting “Oi, OI” to claim these tired travelers at baggage claim. My aunt and uncle put on an epic spread, with Oregon wines to greet us for the next leg of the trip in New York. Many laughs, hugs and giggles later we headed to Mom’s. The next day was a quick shopping day on Long Island, with visits to many grocery and wine stores to stock up for the main part of the trip – a week for Rodney, mom and I in Davis Park, on Fire Island. I spent many summer days in Davis Park as a teenager. It’s just a 20 minute ferry ride from my home town, and offered half price ferry rides for teenagers on Thursdays. We’d get someone’s parents to drop us off at the first ferry, and another’s to pick us up at the last. I remember coming home, salty, sun burned, wind-blown, body surfed and boogie-boarded out and Ioved the peace of the late day ferry ride, big sweater on crispy shoulders and just feeling so content after a day with friends and the beach. We brought Rodney here last year and he just loved it. There are no cars, the houses are wood, quaint and basic. All are a short 2-3 minute walk from the beach. There is one store (hence the many shopping trips for food and wine,) and one restaurant and bar. People bring all of their supplies with them and there is a large lot of red wagons at the ferry to bring it all back to your house. It was an epic week for us. We slept, swam, read, ran, ate, drank, walked on the beach, talked and connected with our lovely family and friends who came to stay with us. We then had a few nights in Manhattan to shop, see friends, have some romantic time and I got to get my annual Central Park runs in to imagine the life that I could have built here, the plans I made years ago to move home from San Fransisco, and to pray for those affected by September 11th. 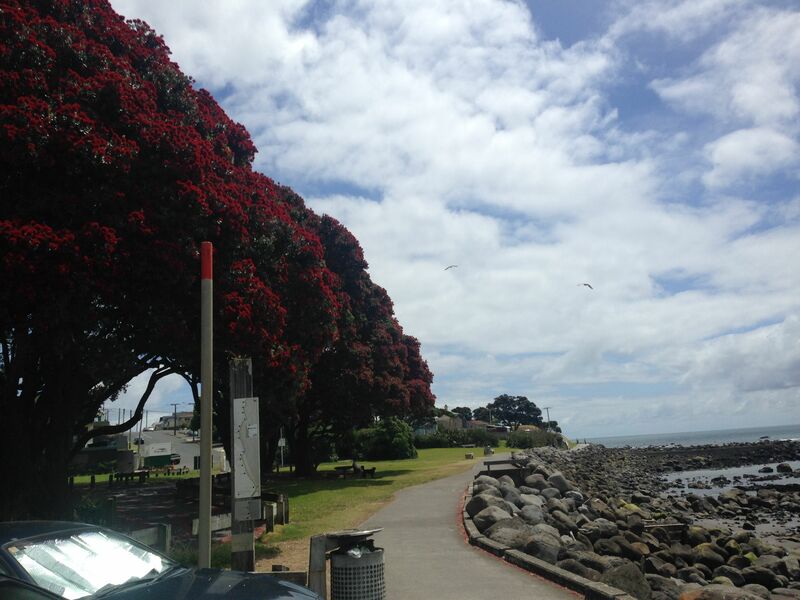 So now we’re back in New Plymouth. After 30+ hours of travel, I arrived home with two huge packed suitcases and began the task of unpacking (kind of fun after visits to Lululemon, Zara and Bloomingdales =) Right in the midst of this activity and before a chance to shower – the door bell rang and we had a lovely couple on our front door step asking if we had availability for the night. It felt so great to welcome them and open the doors to the House straight away. I find such joy that we get to experience the beauty and peace of two such amazing places and find a connected sense of place in both beaches here and on Fire Island. As the end of this year will bring some transitions for me – it is so very powerful to know, deep in my soul, that I am building the life of my dreams, surrounded by such amazing people near and far, and that my passion is for this House and those who we are lucky enough to welcome to it. 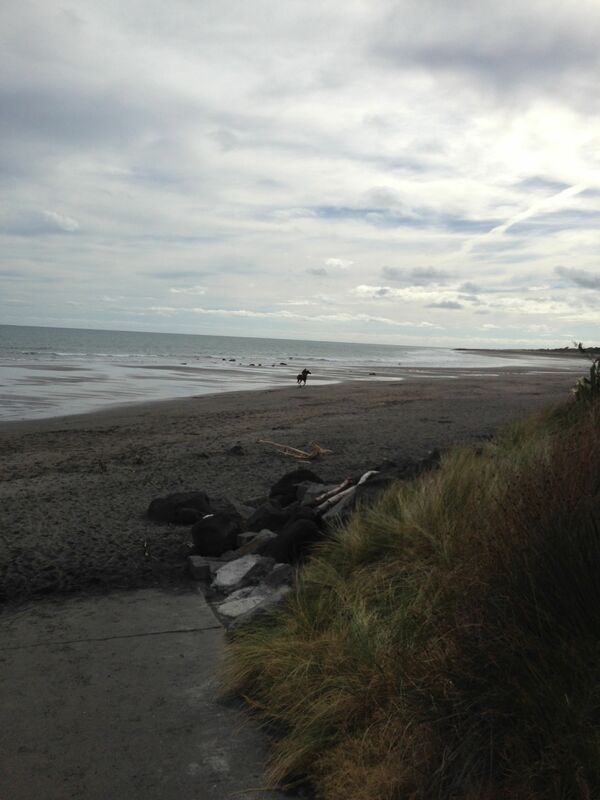 This horse was galloping down the beach during my morning run last week. So beautiful – sharing the love of the sea, and peace of a run. We live in a gorgeous place. “The summer transforms Paris. The cityscape dons greenery and the riverside thoroughfares become car-free resorts. The Paris Plages (Paris Beaches) operation kicks off on or around 20 July and lasts four weeks. 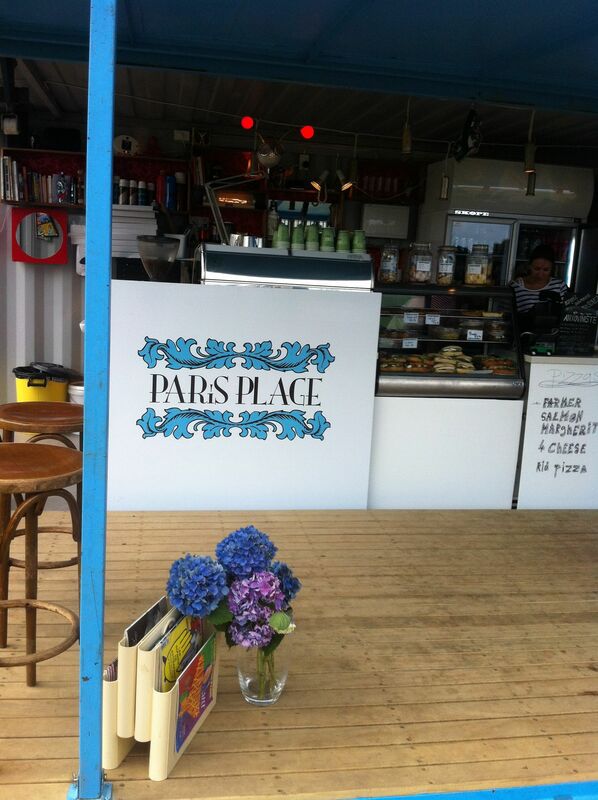 Here in New Plymouth, we now have our own Paris Plage. A cafe, serving coffee, cafe food during the day and pizzas, wine, cinema and music at night – right on the cusp of the ocean. Quaint seating, games – sunset with friends, a coffee after a walk on the walkway, a spot to chill after a run. Created by the lovely folks from my favorite cafe in town, Petit Paris it will be my hotspot for this summer, spilling into autumn…rolling into winter. I love the idea of people creating a beautiful space from their heart – an experience from their passion. C’est magnifique! These gorgeous creatures started off the Powerco Taranaki Garden Festival on the walkway this past week. The region is really busy with people coming in to see the 70+ gardens on display. 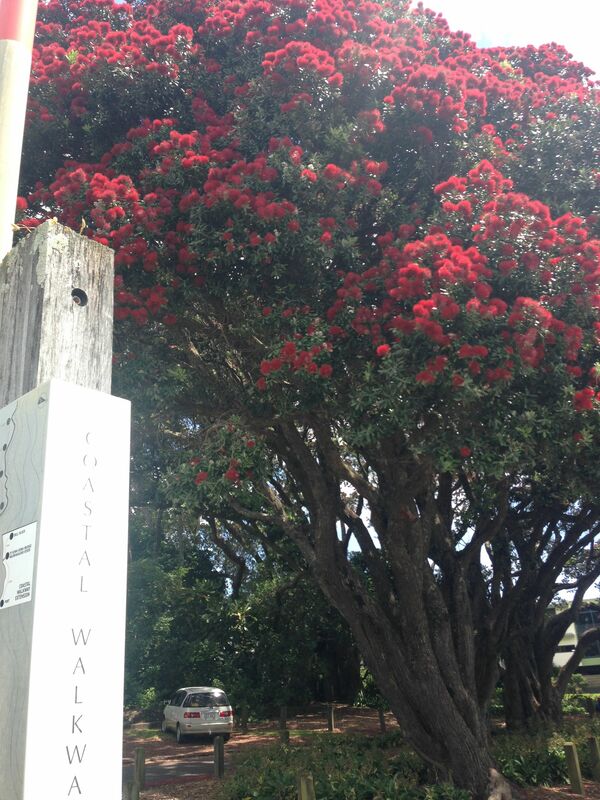 It’s a great time to be in Taranaki! After weeks of rain, grey skies and intense winds, this morning’s sunshine is the perfect way to start a weekend. I stole away after breakfast service for a run, and could not have been more happy. The pace was quick, and the view surreal. I have started running on the beach on the back leg of an out and back run. I was delighted to find the beach filled with ‘blue bottles‘ known in other parts of the world as Portuguese Man O’ War. I thought at first they were mussel shells, and quickly realized they were jellyfish. I wanted to check my assumption so I asked the first person I saw, “what are these?” She quickly responded in perfect english, but thick accent, “I don’t know, I’m from Sweden.” We had a lovely chat, swapped stories and I continued on my run.